Every office in the country, especially Philippine call centers, would agree that each and every office essential can make one’s life at the office easier. 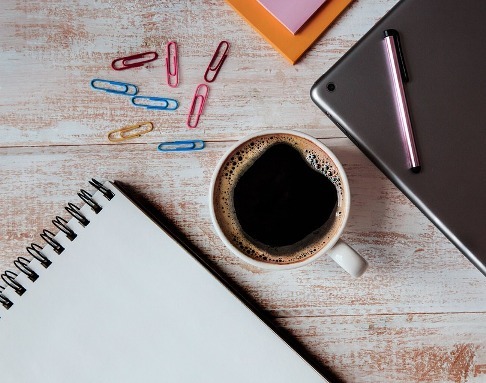 Besides, while working in the office can be a stressful bit (especially when done on a daily basis), these office essentials are all important to one’s daily work routine. Because you never know when you’re going to need to write something. Keeping a pen handy in the office is a great way to prepare for the unexpected. Whether it be unexpected meetings, impromptu calls that may entail you to take down notes, or simply just to doodle for entertainment in times of breaks and leisure. Since most offices around the country involve handling paperwork to some degree, a stapler in hand will be the best way to compile each and every piece of paper in your stack. Plus, it’s a neat way to do so, making your workplace the cleanest it’s ever been! There are also times where you would need to highlight certain parts of the notes you take to better remember the things you’ll need to do—which is where this particular office essential comes into the picture! Highlighters are not only easily available for you, they are also easy to use as all you’ll need to do is lightly shade the parts you need to highlight. Plus, they come in different colors. Enough said. Speaking of notes, you can’t really take down any without something to write on. That’s why notepads and notebooks are important office essentials to always have with you as it’s a great way of storing data on a manual basis. Plus, you can easily refill the pages you’ve used and start from scratch with a new notepad/notebook. In case you run out of staples, paper clips are the best way to go. They are easy to use, reliable, and flexible in material. Just be sure not to lose them at all. Of course, if you need something to use to store files of any sort, filing cabinets are your best office essential to use. Each and every call center and other offices around the country make use of this particular essential to keep track of what needs to be archived, which makes re-reading certain files and records easier than ever! Another office essential that should never not exist is this trusty and reliable tool. Water cooler provides each and every employee with the right amount of hydration and nourishment they need to keep going through the day. Plus, it’s a great place for anyone to talk to. There are numerous other examples of office essentials to consider for this very aspect. Either way, these best examples of great for keeping your daily work as easy as it can be…so long as you don’t forget to include them in your office.